Euro 2020 qualifying football accumulator tips for today’s fixtures as the European Championships qualifying process gets underway – see the five teams selected below for our acca tip. The opening group games of the Euro 2020 qualifiers are staged this week with some nations priced at very short odds to beat their opponents. Included in this Thursday accumulator is a Belgium team seeking a home win against previous World Cup hosts Russia while Northern Ireland will be aiming to improve upon more recent results when facing Estonia. Games in Austria, Macedonia and Slovakia have also been predicted. Austria vs Poland Betting Tip – Austria win. Prior to this opening match of this Euro 2020 qualifying group, Austria lost just once in four Nations Cup matches and did not concede a goal in both home games. The Austrians also beat Northern Ireland on both occasions and now host a Poland team without a victory since beating Japan 1-0 in their final 2018 World Cup match. Poland can also be rather fragile in defence as they conceded five goals in their opening two games in Russia, and Austria could claim a narrow victory. Belgium vs Russia Betting Tip – Belgium win. Since hosting and performing better than expected in the 2018 World Cup finals, Russia have experienced a mixed set of results, but failing to find the net in three of their last four matches is a concern. The Russians have also lost their last two fixtures on away soil and now face the prospect of visiting World Cup semi-finalists Belgium. Since that 1-0 defeat by France, the Belgians have won five of their seven international matches while netting in each of those games. Although they suffered the disappointment of a 5-2 Nations Cup loss in Switzerland prior to this qualifying tournament, Belgium are expected to respond by beating Russia. Macedonia vs Latvia Betting Tip – Macedonia win. Playing in Nations Cup League D proved to be a success for Macedonia as they won five of their six matches to earn promotion to the next level. All three of their games on home soil were won with ten goals scored and just one conceded. Latvia will be their visitors for this Euro 2020 qualifying game and they failed to win any of their group fixtures in Nations Cup action with just one international victory earned within the last twelve months. A home win is the prediction here. Northern Ireland vs Estonia Betting Tip – Northern Ireland win. It would be fair to say that Northern Ireland have not enjoyed much success on the international stage from the beginning of last year, but their only two victories were earned in Belfast at the expense of South Korea and Israel. Two very narrow home defeats were also suffered when hosting Bosnia & Herzegovina and Austria with visitors Estonia not playing at the level of those two countries. Although the Estonians are unbeaten in their last three matches, they had previously lost six of seven matches and they face another defeat in Belfast. Slovakia vs Hungary Betting Tip – Slovakia win. Although Hungary enjoyed some reasonable success in their Nations Cup group when winning three of their six games, all three successes were secured in Budapest and their form on the road remains suspect. The Hungarians now visit a Slovakian team which has displayed much inconsistency in recent years but which can be a useful team on home soil. Five victories have been claimed from their last seven fixtures on Slovakia turf and they are capable of winning this encounter. Read More: See more of our Euro 2020 qualifying betting tips including match previews of all the big games today. BET NOW – £10 wins £111 at Betfred. Open a new Betfred account and bet £10 on an accumulator today – win or lose you will get a £30 FREE BET added to your account ready for tomorrow. e.e bet £10 on this accumulator with a new account and win £111 in cash if it wins – win or lose you get a £30 free bet. 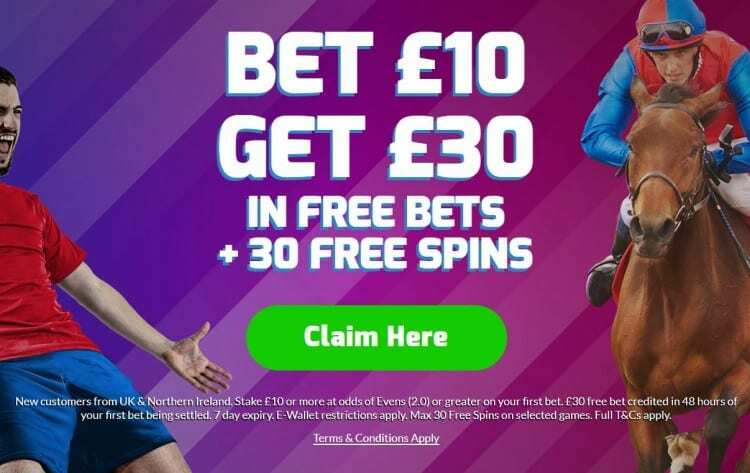 CLAIM NOW – £30 FREE BET for new Betfred customers.